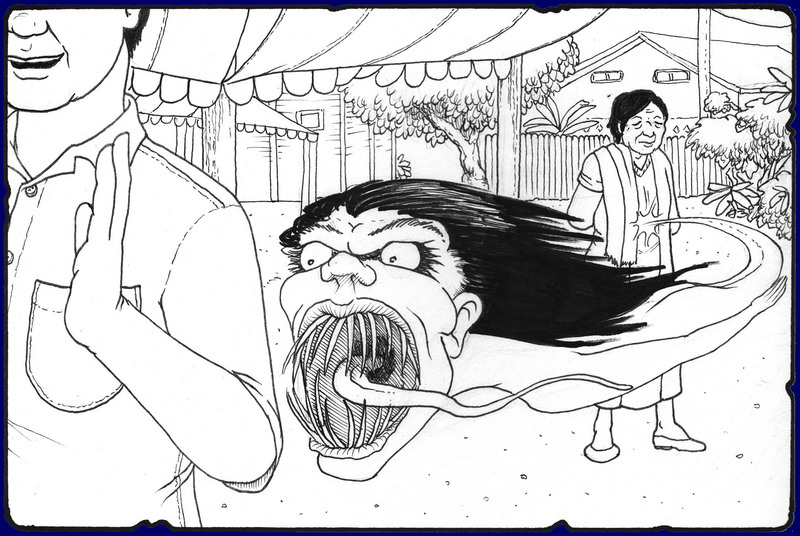 The 'Phii Porb' of Thailand is a spiritual entity that uses a living person as a host, and has a desire to consume blood and organs from living victims; they can attack spiritually while hiding in the guise of a normal person! While Phii Porb used to favor young women and children as their prey, in more recent times they've been attacking men as well. Equal opportunity, I suppose.